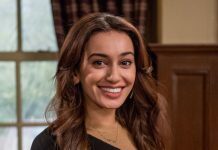 Emmerdale Episodes Soap Spoilers This Week! 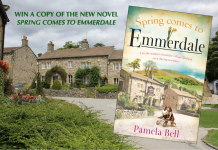 EMMERDALE EPISODES: It’s a busy week in Emmerdale, although no episode on Monday, with a wedding, an arrest, more schemes, and an indecent proposal! Rishi and Manpreet are the only ones with happy news after eloping to Las Vegas! 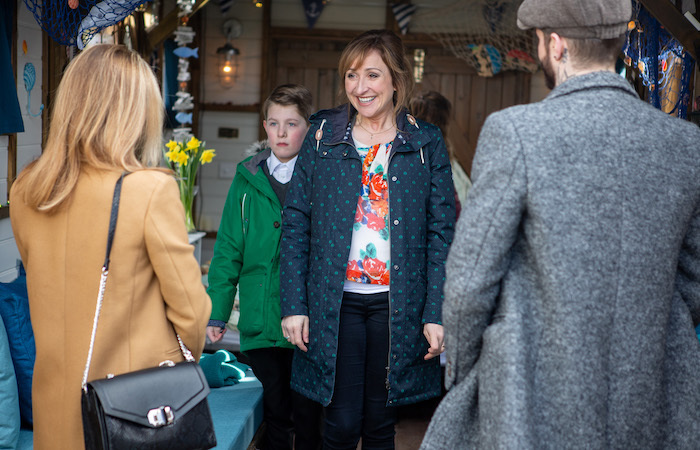 Poor Tracy finds herself in handcuffs (and not in a good way), Charity gets involved with Robert’s business deal, much to Vanessa’s annoyance, and Kim’s plans for Cain and Moira step up a gear when she drags Noah into the mix. 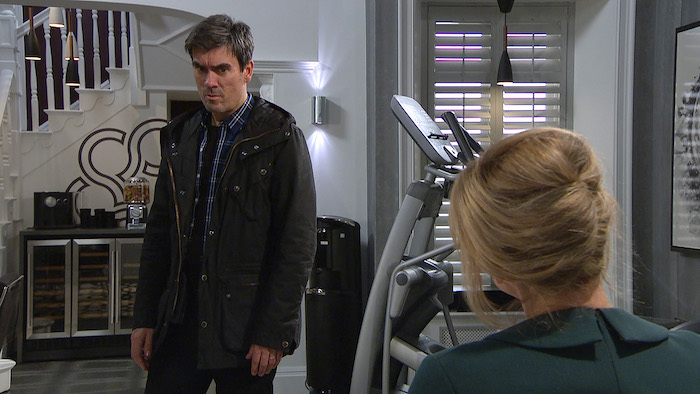 Tues 26 Mar 2019: Megan Macey is touched when Frank Clayton tries to cheer her up. 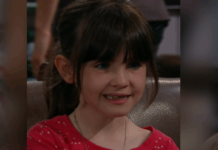 Tues 26 Mar 2019: Could this be the start of a reconciliation for Megan Macey and Frank Clayton. 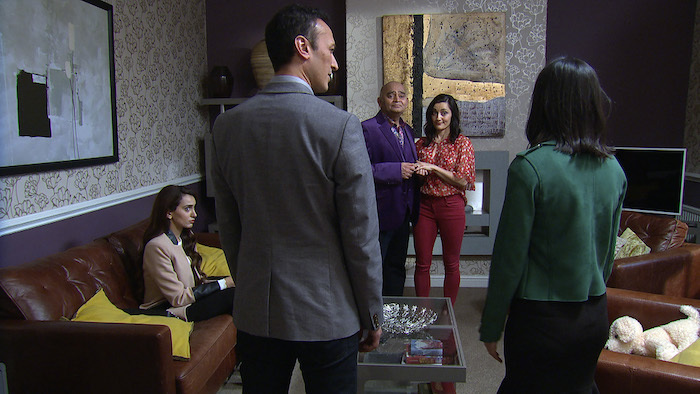 Tues 26 Mar 2019: Manpreet and Rishi return from their holiday with news but are interrupted by her daughter Aiesha. 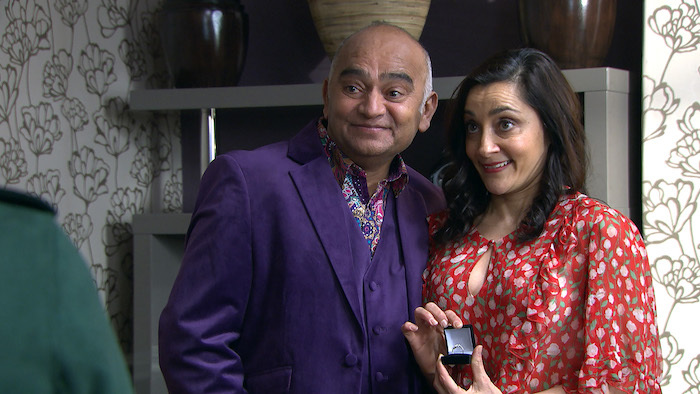 Tues 26 Mar 2019: Rishi and Manpreet make their announcement – they tied the knot in Las Vegas on a whim! Tues 26 Mar 2019: Jai’s gobsmacked – think the word congratulations is what you are looking for! Tues 26 Mar 2019: Sharma Drama! Safe to say it’s not going to be quiet at Holdgate for a while. 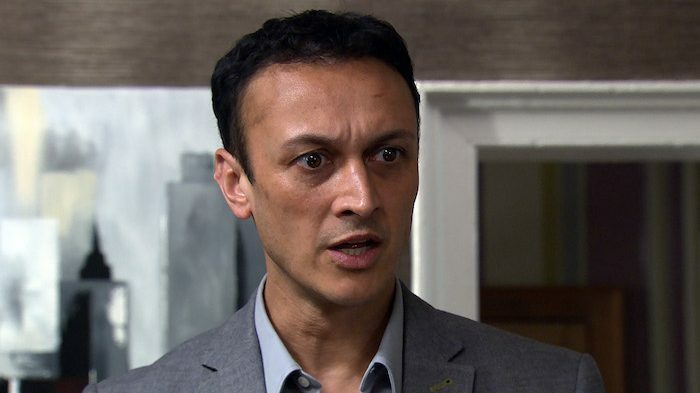 Tues 26 Mar 2019: When Robert meets a potentially lucrative client, Charity recognises him and warns Aaron he’s bad news. 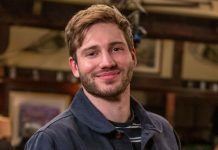 Tues 26 Mar 2019: Spotting a money-making opportunity, Charity agrees to help Robert win Mike’s contract. 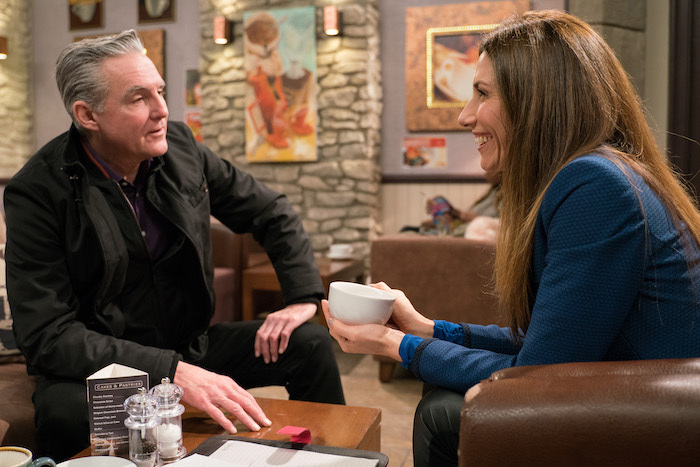 Tues 26 Mar 2019: Will Charity secure the deal for Robert or pocket the money for herself? 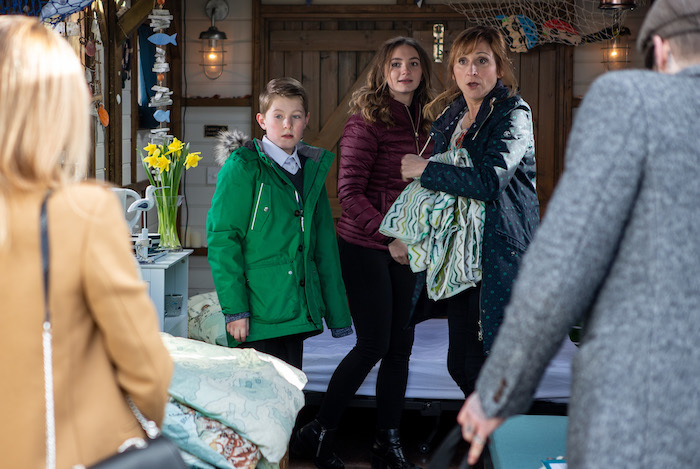 Tues 26 Mar 2019: Having agreed to pick her up, Billy and Tracy wait for April in the park. Tues 26 Mar 2019: With Tracy heading off to buy coffees, Billy is nervous about his imminent interview. 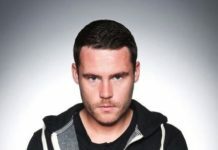 Tues 26 Mar 2019: When he attempts to get April’s attention, police approach him saying they’ve had a call from a parent who thinks he’s acting suspiciously. 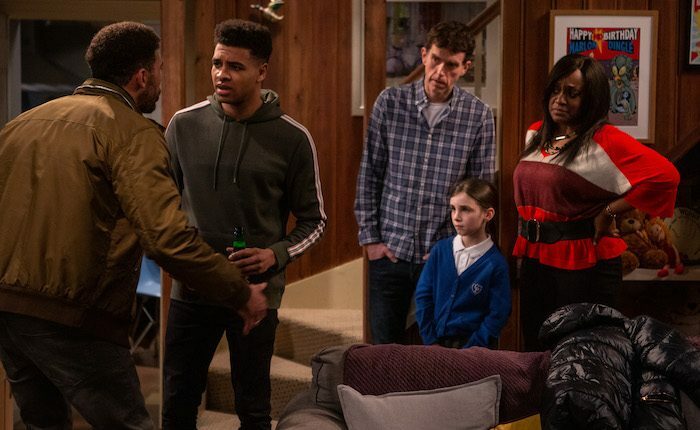 Tues 26 Mar 2019: Billy attempts to keep calm, but convinced racism is the reason for it, Tracy furiously confronts the parent in front of a confused April. 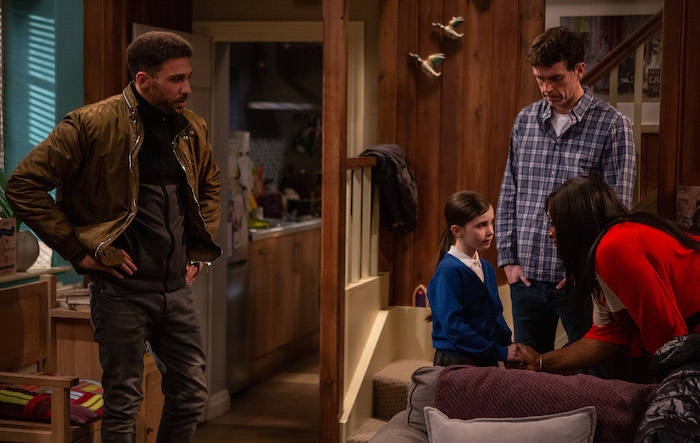 Wed 27 Mar 2019: When it’s revealed back in the village, Jessie opens her heart to Marlon about the prejudices she and her sons have faced. 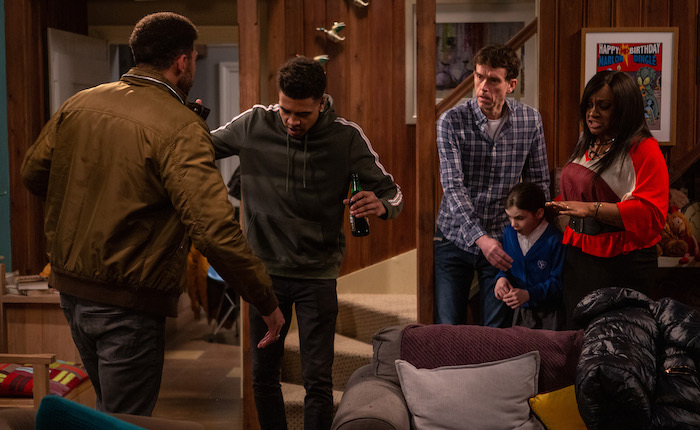 Wed 27 Mar 2019: Tracy sees Billy shove Ellis up against a wall. How will Tracy react? 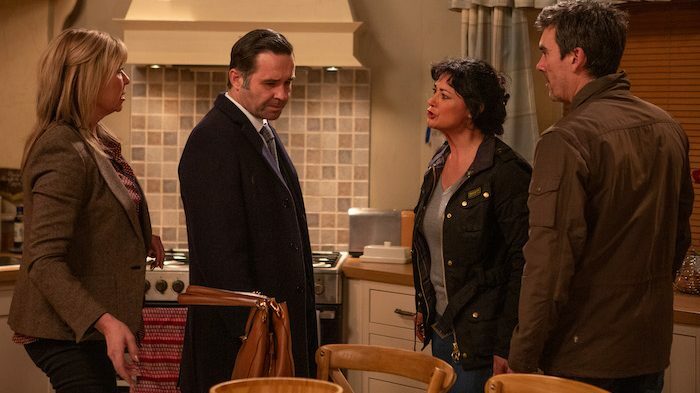 Wed 27 Mar 2019: Could this be the end of Billy and Tracy’s relationship before it’s even begun? Wed 27 Mar 2019: As flirty Charity tries to work her magic on Mike, Vanessa is far from impressed. 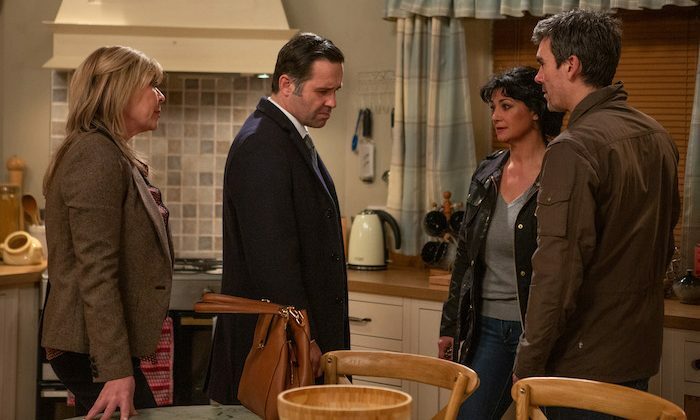 Wed 27 Mar 2019: Charity assures Vanessa her involvement with Mike is strictly professional. 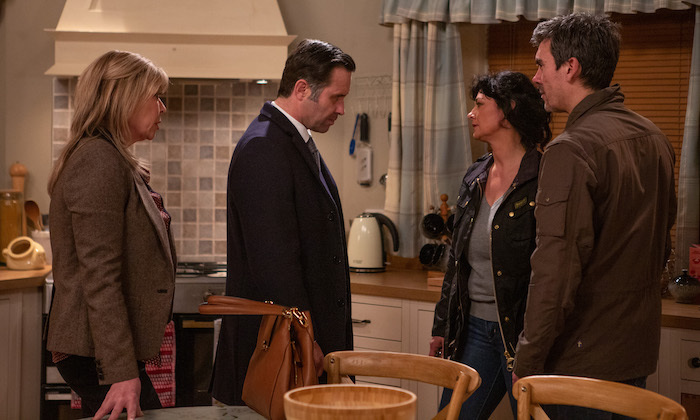 Wed 27 Mar 2019: Moira’s left worried about Cain as he starts to plan for the worst now the police are involved. Wed 27 Mar 2019: What are Kim and Graham plotting now – or are they actually at war with each other? Wed 27 Mar 2019: Kim’s giving Graham that steely glare. It either her come hither stare or she’s ordering a hit! 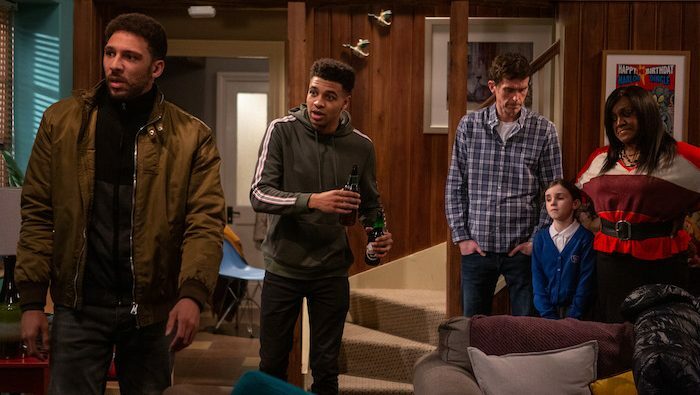 Thurs 28 Mar 2019 – 7pm: Will Noah share his fears with any of his family? 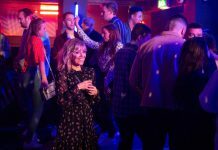 Thurs 28 Mar 2019 – 8pm: Laurel’s panicked she’s got a last-minute booking in the Pirate Ship. 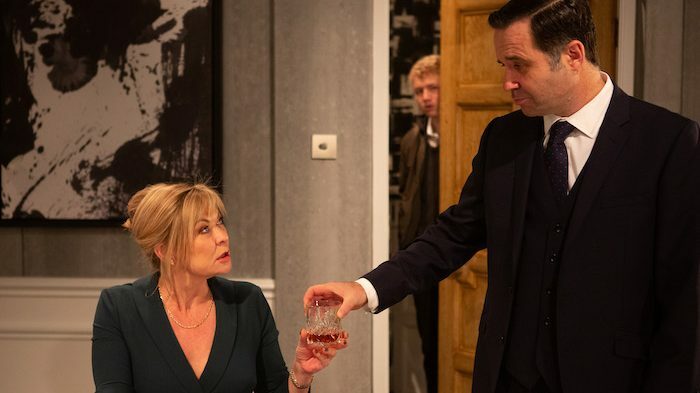 Thurs 28 Mar 2019 – 8pm: Arthur watches from the side-lines, face like thunder at the ‘guests’. 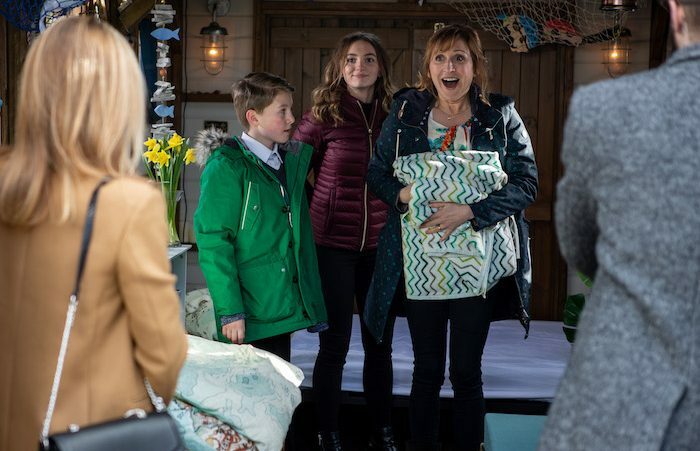 Thurs 28 Mar 2019 – 8pm: How will Laurel’s new venture impact her children – and her guests? 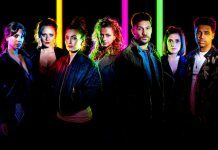 Thurs 28 Mar 2019 – 8pm: Cain goes to confront Kim Tate at Home Farm. 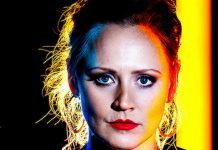 Thurs 28 Mar 2019 – 8pm: Angered, Cain confronts Kim over her threats. 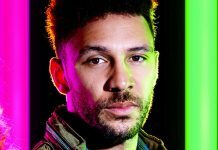 Thurs 28 Mar 2019 – 8pm: Cain’s left stunned by what Kim reveals. 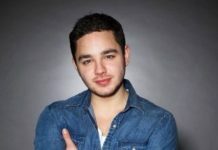 There is no Emmerdale on Monday but it returns to ITV on Tuesday with a one hour-long episode and then Wednesday to Friday, with an additional episode on Thursday at 8pm.